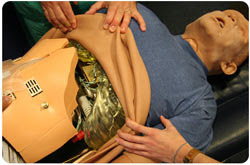 Join us in St. Kitts on February 13 ~ 15, 2009, for the 1st Interdisciplinary Clinical Simulation Symposium. Hosted by the University of Medicine & Health Sciences ~ St. Kitts and the International University of Nursing, this symposium will hold workshops designed for nurses, physicians and medical faculty. Check out the ICSS website for further details and online registration. Landmark New Study Demonstrates the Value of the Medical Librarian! The findings of a landmark randomized controlled trial which demonstrates the value and impact of the medical librarian has just been published! CONCLUSIONS: In this study, providing timely information to clinical questions had a highly positive impact on decision-making and a high approval rating from participants. Using a librarian to respond to clinical questions may allow primary care professionals to have more time in their day, thus potentially increasing patient access to care. Such services may reduce costs through decreasing the need for referrals, further tests, and other courses of action." McGowan J, Hogg W, Campbell C, Rowan M. Just-in-time information improved decision-making in primary care: a randomized controlled trial. PLoS ONE. 2008;3(11):e3785. Epub 2008 Nov 21.PMID: 19023446 [open source]. A Little Emergency Room Humour to End the Semester! Thanks to comedian Brian Regan ! "The damage that the human body can survive these days is as awesome as it is horrible: crushing, burning, bombing, a burst blood vessel in the brain, a ruptured colon, a massive heart attack, rampaging infection. These conditions had once been uniformly fatal. Now survival is commonplace, and a large part of the credit goes to the irreplaceable component of medicine known as intensive care.If a new drug were as effective at saving lives as Peter Pronovost’s checklist, there would be a nationwide marketing campaign urging doctors to use it." 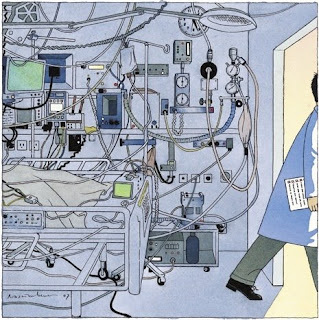 The New Yorker, by Atul Gawande, 12/10/07. "The consequences of excessive and underage drinking affect virtually all college campuses, college communities, and college students ...whether or not they choose to drink!" Click on the title or go to NIAAA's College Drinking Prevention website. This often blows in our direction (notice Nevis and St. Kitts in the clouds to the north-west), making it hard to keep our cars clean! It also makes you wonder about the long-term effects on our health! Click on the image to enlarge or click on the title to go to the NASA site. 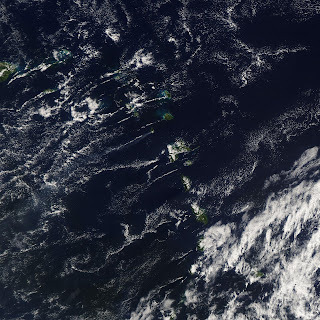 Notice Guadeloupe to the south, Antigua to the east and Barbuda to the north-east. Photo from NASA Earth Observatory. 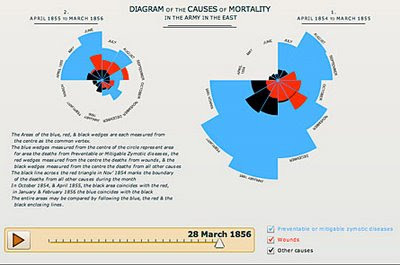 Florence Nightingale pioneered the use of applied statistics to develop policy and developed novel ways of displaying them. by Julie Rehmeyer, Science News, 11/26/08. The Science News webpage includes a flash animation of this graph. Thanks Jordan for this link!